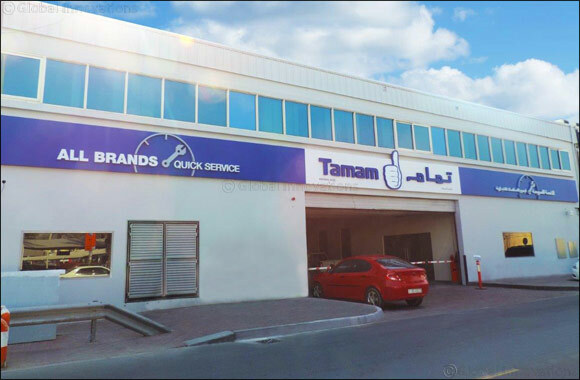 Dubai, UAE, June 4, 2018: Tamam All Brands Quick Service, part of National Auto and the Al Ghandi Auto Group, recently announced the launch of its Ramadan promotion, aimed at providing all vehicle brands a one-stop-shop servicing center, coupled with a highly dedicated team of mechanics. Inspired by the month of giving and the Year of Zayed, the management of Tamam All Brands Quick Service is offering throughout Ramadan a 50% discount on all vehicles, regardless of their brands and models. This announcement comes as part of the company’s relentless efforts to expand its offerings to its dedicated and prospective customers in the UAE. Located opposite Dubai Airport at the Ittihad Road, Tamam Service Center has 10 fully functioning bays and the capacity to service customers in a quick and highly dedicated manner. The strategic location of the Tamam All Brands Quick Service Center makes it accessible to customers in new and old Dubai, as well as the surrounding Emirates.